Sound and video may not have immediately sprung to mind in May when the Supreme Court cleared the way for states to legalize sports betting, but they are going to play a big part in what is expected to be a boom in sportsbook construction. 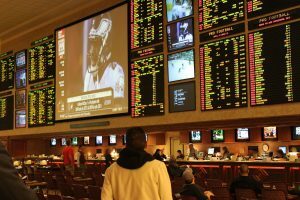 Striking down a 1992 federal law that had prohibited most states from authorizing sports betting, the 6-3 ruling opens the door to a new arms race for high-tech sportsbooks emulating sports venues’ two-decade-long period of A/V-based makeovers. “I assume we will see more RFPs for this — and integrate more as time goes on,” says Stuart Reynolds, director, Broadcast Systems Group, for systems integrator Diversified. States and leagues are wasting no time in clearing the way for sportsbook construction and updating. Mississippi’s 28 casino sportsbooks opened their betting windows to the public, with football veterans Willis McGahee and Robert Royal among the celebrities placing ceremonial first bets at the Beau Rivage in Biloxi. In a related move, Caesars announced a new deal with Scientific Games to supply sports betting for New Jersey and Mississippi casinos. Caesars opened its first two sportsbooks in Atlantic City in July and has disclosed plans to merge its online sports betting and casino platforms into one. And at the end of July, MGM Resorts International and the NBA announced a multi-year partnership naming MGM Resorts the official gaming partner of the NBA and WNBA. The alliance marks the first time a major pro-sports league has partnered with a sportsbook operator. Sportsbooks like this one in Las Vegas may feature highly immersive LED screens. That’s a sea change from professional sports’ historical stance. “Leagues have typically kept their distance from gambling, with the MLB taking an especially tough stance, saying its rightsholders who accept advertising from sports-betting companies would violate MLB policy,” Insider Radio notes, noting that it could be a windfall for sports broadcasters as well. There could also be a convergence with online sports, as videogaming continues its rapid ascent in the pro-sports universe. For instance, current Mississippi law restricts gambling and sports betting to physical establishments, but the state has okayed limited mobile wagering in the future — though, at the moment, only onsite at a casino. The professional-A/V industry, which has been at the core of the renaissance of sports venues, sees a correlation between bigger video and audio in stadiums and arenas and what’s to come in sportsbooks. 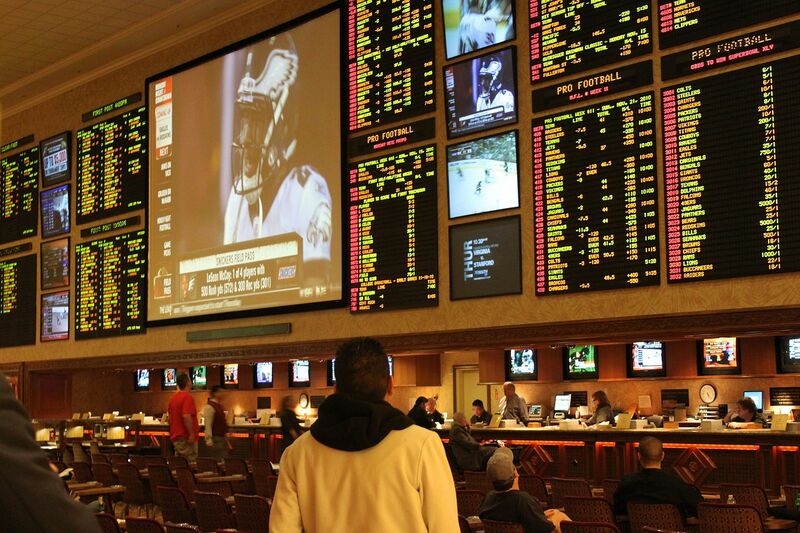 But, like many Supreme Court decisions, this one will have far-reaching implications, one of which is that sportsbooks may become the next frontier for the already-deep connection between sports and A/V technology.